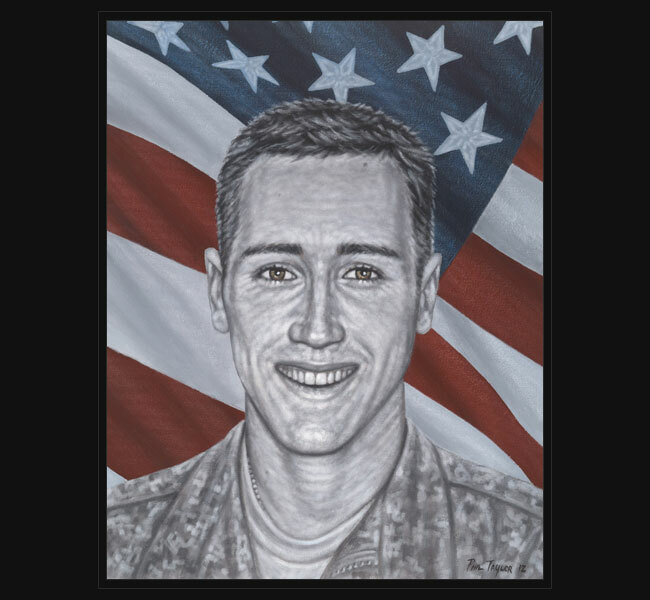 Army 1LT Jonathan Brostrom died July 13, 2008, of wounds sustained when his combat outpost was attacked by enemy small-arms fire and rocket-propelled grenades in Wanat, Afghanistan. A total of nine U.S. soldiers were killed and 27 wounded during this intense battle, which became the single deadliest attack to date since the beginning of the war in Afghanistan. Just before dawn, over 200 enemy fighters surrounded and attacked 1LT Brostrom’s platoon as they were constructing a new base near the Pakistani border in Kunar province. The Taliban forces used houses, shops, and a mosque for cover during the hours-long battle before American reinforcements managed to drive out the attackers and call in support from attack helicopters and Air Force bombers. Dozens of Taliban were killed and approximately 40 wounded. As leader of the company’s 2nd Platoon, 1LT Brostrom fearlessly exposed himself to intense enemy fire, running from the protection of the main platoon perimeter to reinforce a small isolated observation post located 80 meters away. The enemy was on the verge of capturing the OP and had killed 3 of the 6 soldiers who were fighting for their lives. 1LT Brostrom’s actions, at the cost of his own life, saved the lives of his fellow comrades and held the observation post ground from enemy forces. He was posthumously awarded the Silver Star Medal for his incredible valor, competence, and unstoppable drive to aid his men in need. Jonathan was a 2002 graduate of Damien Memorial School. He received a four-year ROTC scholarship from the University of Hawaii, graduating in 2006. During his time in the ROTC and Army, Jonathan graduated from Airborne, Air Assault, Navy Dive school, and also earned the coveted Ranger Tab. He reported to Vicenza, Italy on June 26, 2007, and deployed to Afghanistan shortly afterward. Jonathan is survived by his parents, and son, Jase Brostrom.